The Magic Kingdom – the most magical theme park in the world. The Magic Kingdom resort area is pretty magical as well – views of Cinderella Castle from your balcony, fireworks shows you can watch at night while lying in your bed, transportation options which include boats and the Walt Disney World monorail, and more! All of this can be yours – at a hefty price, that is! My husband and I have always dreamt of staying at a Magic Kingdom area resort, but we just couldn’t justify the price. We typically stay at a moderate resort, and the jump in price from one of these resorts to a deluxe Magic Kingdom area resort is somewhat of a shock. I will admit that we have always loved the moderate resorts. These resorts also hold a sentimental value to us, as both of us have stayed with our families at these resorts as children. So we’ve continued staying at the moderates since we wed in 2008, visiting the deluxe Magic Kingdom resorts at night for dinner and to enjoy the ambiance before returning back ‘home’ to our moderate resort at the end of the day. 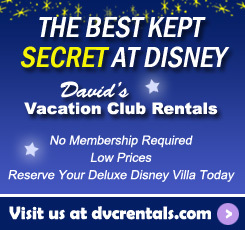 Everything changed, however, when we learned about David’s Vacation Club Rentals. We were VERY interested in this option, but at the same time, a bit hesitant. It seemed too good to be true! The prices that David’s listed were nearly 50% off of the prices listed on the Walt Disney World website. We spent quite a few months doing research and reading reviews from those who had used David’s in the past, and we couldn’t find any problems or negative reviews about this business. Finally, when I signed up for the 2016 Disney Princess Half Marathon, we decided that February 2016 was our time to try David’s. We got together with our friends who we would be meeting up with after the race, and asked their thoughts regarding trying David’s Vacation Club Rentals. They gave us the ok, stating that whatever we planned, they were happy to go along with, and from there, the process began. It all started late on a Friday night when my friend and I were texting each other our final thoughts on where to stay. 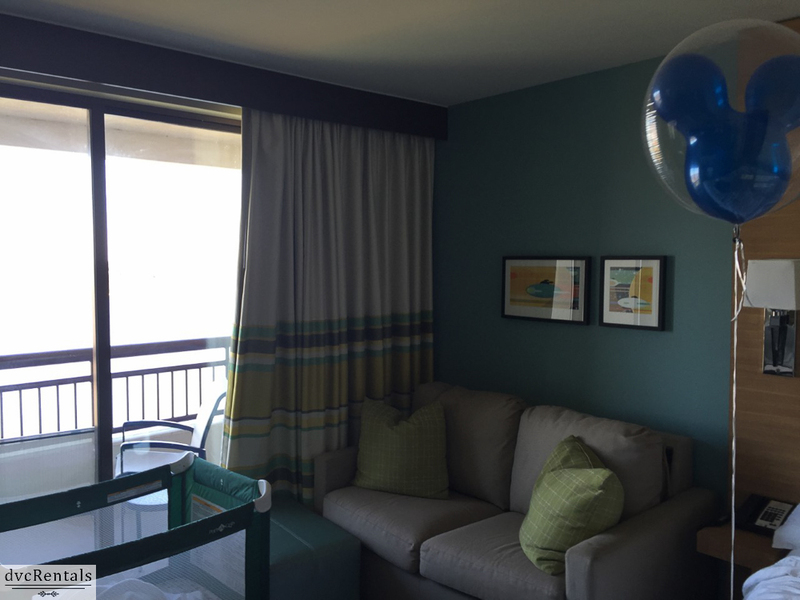 We put a lot of consideration into our decision, and eventually decided that we would try to secure two studio villas at Bay Lake Tower at the Contemporary Resort. This resort would be perfect, as we could get to two of the theme parks via monorail, which is great for those of us traveling with strollers since no folding of the stroller is necessary on the monorail (as it is on the busses and boats). We loved the proximity to the Magic Kingdom, as we planned to start off nearly every morning of our vacation there. And finally, and perhaps most importantly, the Contemporary is my husband’s dream resort, and we’d finally be able to give it a try! David’s does charge you a small amount at the time you make your reservations, but this amount is applied if they are able to secure a room for you – if not, your money is refunded. We were able to comment on our reservation form that we only wanted the room if the other party could get a room as well at the same resort. Since it was a weekend, I wasn’t expecting David’s to get back to us until Monday. However, I was in for a surprise. My friend texted me Saturday morning stating that David’s had gotten back to us! The room we wanted (a standard view) was not available, but a lake view, or a Magic Kingdom view were; every other studio room available at other Disney resorts was presented to us as well, which I loved, as we had our pick of available rooms at this point. We chatted, and quickly agreed that we’d pay a bit more for the lake view room (we were afraid that if we waited too long to make our decision, that these rooms would be gone as well). By Saturday evening, our reservation was secured, and we had an official ‘Disney’ confirmation number. I was astounded that this was all able to happen on a Saturday, and it started our experience with David’s off VERY well. When we decided later on to get a dining plan, my experience went just as smoothly. I simply called David’s, spoke to a very friendly woman, gave her my gift card number to purchase the dining plan with, and was told that I would receive a confirmation within two weeks (it came that same week). Now, for the pricing – when perusing the official Walt Disney World website, I was given a price of $2587.52 for 4 nights. Through David’s, this same room was quoted at $1344 for 4 nights – much more reasonable (this is 48% off of Disney’s price). With our reservations, we were given the same perks, such as the Magical Express shuttle to and from the airport, Magic Bands, and as I’ve already stated, the opportunity to purchase the Disney Dining Plan. 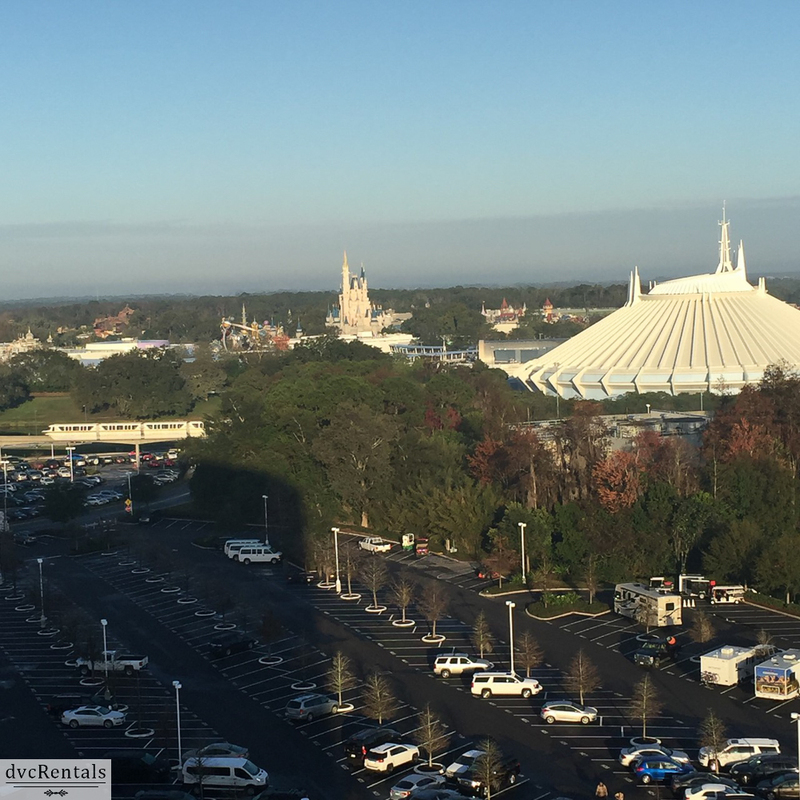 And best of all, we were surprised with a partial Magic Kingdom view, which I enjoyed each morning and each evening from our 12th-story balcony (we had a partial lake view, and a partial Magic Kingdom view, which was ideal!). Check-in on the morning of our arrival was easy, and we were given a room right next door to our friends, which was great! We ended up truly loving Bay Lake Tower. There is a covered walkway over to the Contemporary Resort, where we could fill up our mugs at the quick-service location, grab a drink at the Outer Rim Lounge, and catch the elevator up to California Grill the night we ate dinner there. Transportation to all of the parks was easy – we never waited more than a couple of minutes for a bus or monorail. We loved that the Ticket and Transportation Center was only one stop away, as that made transfers to Epcot extra convenient. We enjoyed watching the Electrical Water Pageant from the resort at night, and of course, we could see the fireworks from our balcony. I will admit that the studio villas were a bit smaller than we expected, but for the three of us, there was more than enough room. 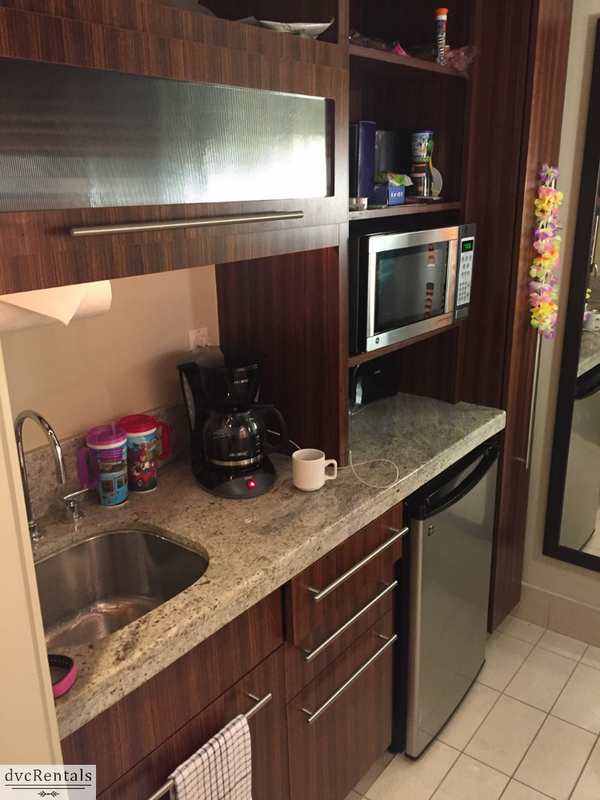 I enjoyed using the kitchenette to make an easy breakfast and coffee in the morning, and it was nice that we could store leftover snacks from the day in the refrigerator. The bathroom was a nice size, and had more than enough storage areas. 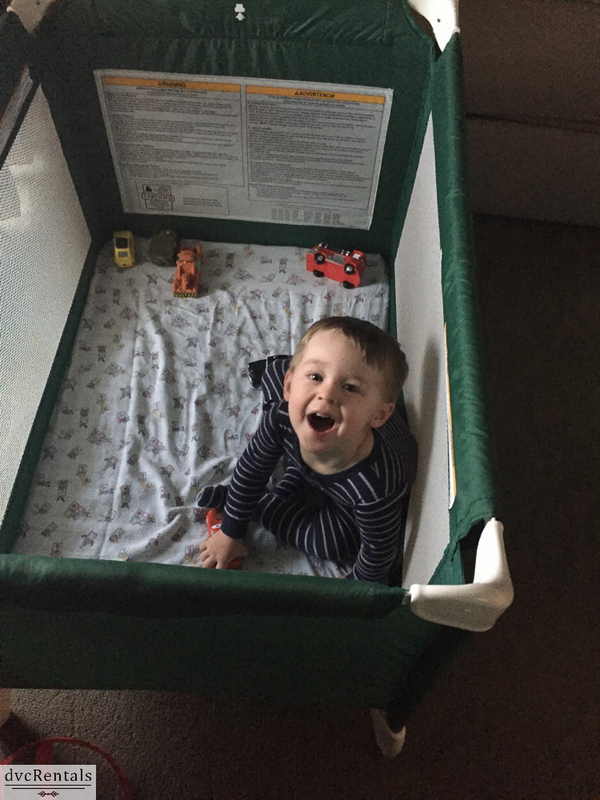 There was also a small area when we first entered the room that was the perfect size to keep our stroller. The Cast Members we encountered at this resort were amazingly friendly, and we were always welcomed home upon arrival. One afternoon we came back from the Magic Kingdom in the rain, and there were towels out to dry off with, which was a very nice touch. While we plan to stay at different resorts in the future to experience all that Walt Disney World has to offer, I wouldn’t hesitate to stay at Bay Lake Tower again! I was so impressed with our experience with David’s that we are planning to use them again in 2017! After seeing how much fun I had running in the Disney Princess Half Marathon, my husband decided that he’d like to run a race as well. Since we are both big Star Wars fans, we’ve decided on the runDisney Star Wars Half Marathon – The Dark Side races in April. If any readers are runners, or even just enjoy fast-paced walking, I highly encourage you to look into doing a runDisney race in the future. These events are spectacular, and there are many different themed races throughout the year, from the Princess which focuses on women athletes, to the Wine and Dine which includes admission to Epcot for a party during the International Food and Wine Festival, and more! There are different races each day of race weekends, from a 5k (3.1 miles) all the way up to the Walt Disney World Marathon (26.2 miles), meaning that everyone can find a distance that suits them. There are even kids races so that your littlest family members can compete and earn their very own finisher medal! Now I leave you with a few more photos of our studio at Bay Lake Tower. It was a lovely room. 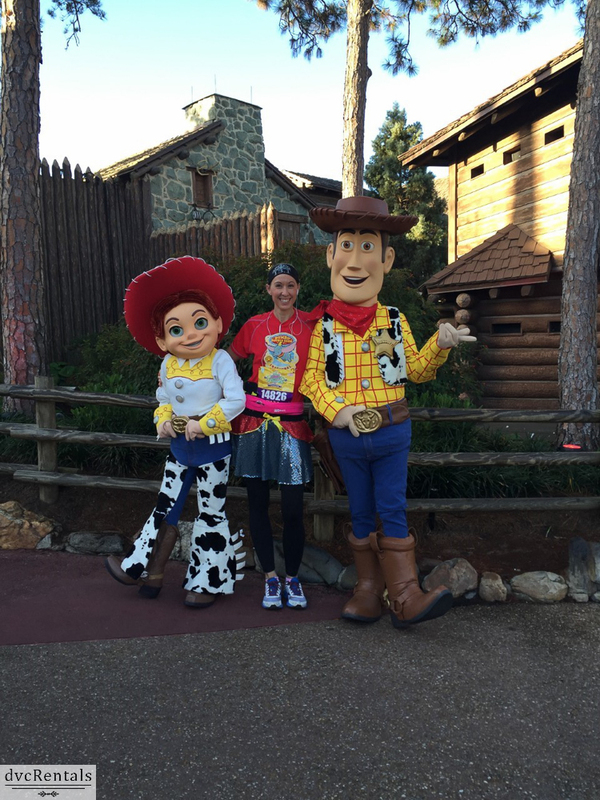 To see more photos from my runDisney trip, or to learn more about me, please feel free to visit my blog at www.danasmousetails.blogspot.com, or follow me on Instagram – username: danasmousetails. Happy Travels! 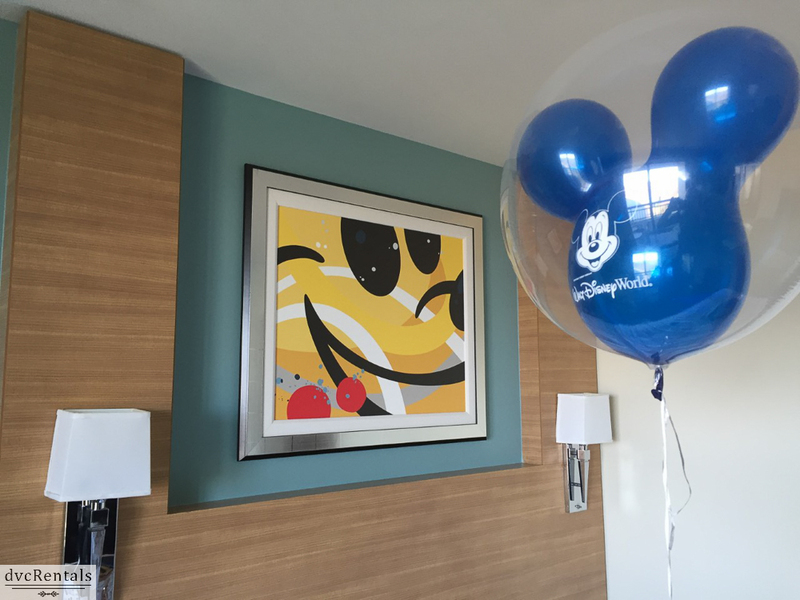 27 thoughts on "Our Bay Lake Tower Vacation at Walt Disney World"
This is from July 2015! Dream come true to stay at the Comptempary/Bay Lakes!! We had a AWESOME time! 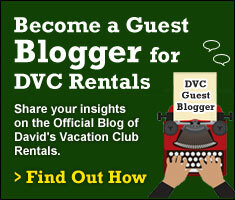 We are DVC members and with both our points (03/05) we are able to stay for 2 weeks every two years!!!! Win/win to us!!!! Next year we are hoping to get into Beach Club villas!!! We have always loved the contemporary, Bay Lake Tower, not so much. We want to look too different times and were given passes to the top of the world lounge and found the bartenders very arrogant. Both times. It’s the only place in Disney World we have ever found that. Thanks, but we use our points at the poly and animal Kingdom Lodge. I love WDW, like seriously love it. We are coming back over for 2 weeks this fall to celebrate Halloween, Floridian style!! The view looks awesome from this hotel clearly but…. is it wrong that I really like to see the castle after taking the ferry over from the car lot! Thoughts???? We have stayed there several times and love that you can walk to the MK from there! My parents say that Me and my parents will stay there in May! Sweet! I would love to stay here! It is on my bucket list!! Hi can you go to the top of the world to view fireworks? They let us go up our first time staying there, didn’t try the second visit. It was neat! I’ve been there with DVC members, it’s beautiful, the drinks are good, and the cast members are wonderful!! Can a Disney dining plan be purchased with a rewards redemption card? I think we stayed in that exact room 2 years ago. Liked it so much we bought resale DVC for Bay Lake a couple of months later. Be careful my friends!!! LOL! !